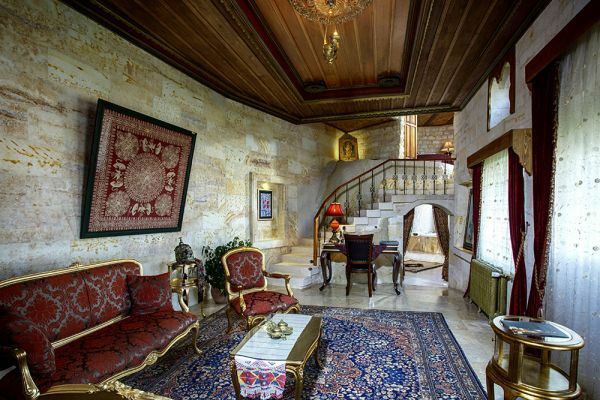 The room was named after its marble artwork, which is a traditional Turkish art. Ebruli means variously colored, and this suite offers splendid colors. Possessing plenty of space, it consists of two stories, with the bedroom upstairs. 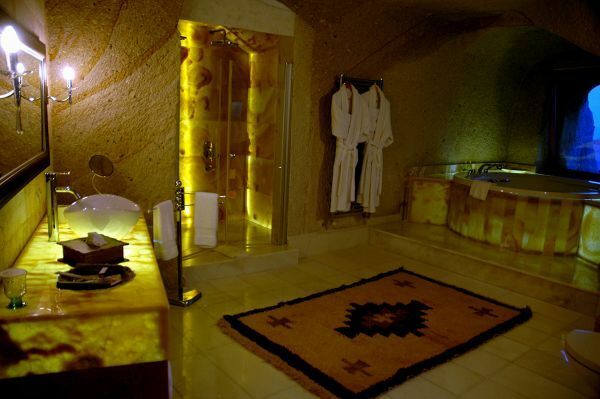 The bedroom, bathroom, and private garden command a perfect view of Cappadocia. 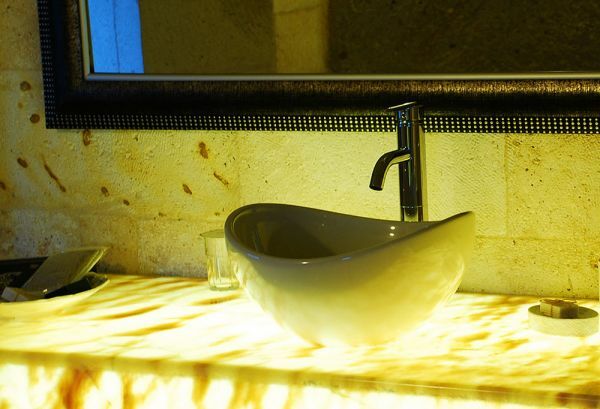 Unlike the other parts of the room, the bathroom is in an old cave structure and has unique marble workmanship. 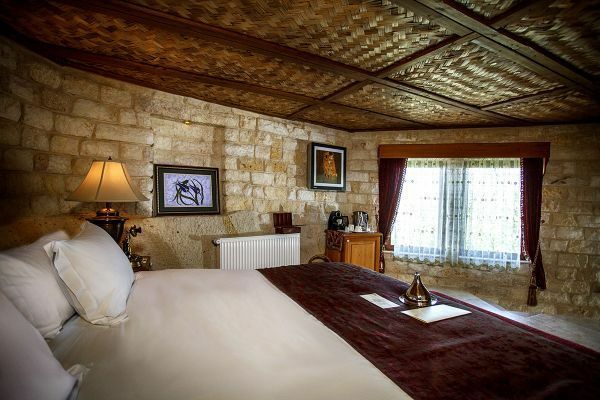 The room has its own garden from which you can enjoy a spectacular view of Cappadocia.